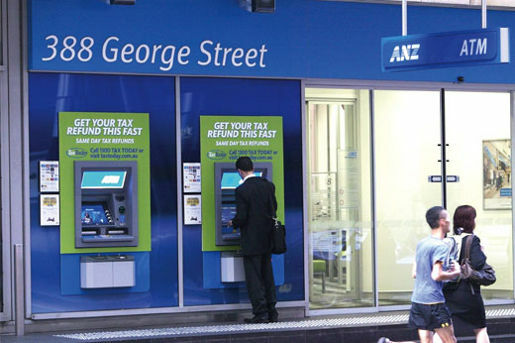 Tax Today, an Australian tax accounting firm, prepared a guerrilla marketing campaign in Sydney, fitting specially prepared boards around ANZ, NAB and Westpac ATM machines in Sydney’s central business district. 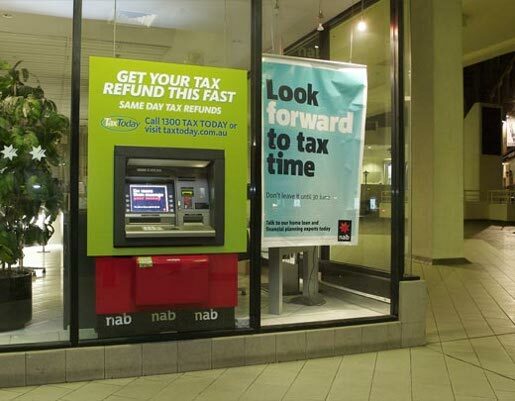 The message on the board, “Get your tax refund this fast”, was designed to promote the company’s same day service. The Foamcore cut-out sticker boards were placed on the ATMs using static-cling at 3 in the morning on July 6, to avoid unpleasant encounters with bank staff. The only hitch, according to the creative agency behind the campaign, was when a policeman became suspicious of a photographer used by the agency to photograph the process. Although police ripped one down immediately, some of the boards were up until at least 11.30am the next day, said Rupert Pay, at Uncle, Sydney. The Tax Today ATM campaign was developed at Uncle, Sydney, by executive agency proucer Rupert Pay with freelance creative director Adam Hunt.